I am the only person who only gets to start watching games at half time? Because I spent the whole first time in the kitchen whipping up food? And don't get me starting on birthday parties, I spend so much time getting my kids food and cutting them "just right" that by the time I go to get my own all the good stuff is gone!! When it is finally time to sit down at Thanksgiving dinner I am exhausted! After 3 days of baking, several hours of cooking and what I know is going to be another 2 hours of doing dishes I just want to give up. No more dear readers I am taking the easy way out!! Bring on the stress free parties! That is right folks, this mama is going to start enjoying her holidays, football games and birthday parties. instead of dreading them. The first step is make my prep easier. I do enjoy baking, so I will keep making my pies. I love trying new recipes so this isn't something I dread I actually look forward to it. I also plan to make the turkey, lets admit it, there is no way out of that one. But everything else I am taking the easy way out. I am getting precooked potatoes and just heating them up, I am getting already made rolls and again just heating them up. My mac and cheese is going to be another thing I just need to heat up. And my buffalo chicken dip, we cannot watch a football game without that. And my predinner/game day snacks are going to be a breeze too, thanks to Hormel Gatherings! All there trays are already presliced. All I need to do is remove the lid and tada they are ready to serve! Not only are these great for the holidays, but they are also awesome for football game day and even just family movie night. We have a group of friends we always invite over for family game night. 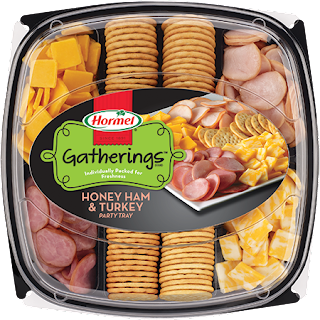 It has kind of become a tradition for me to get a Hormel Gatherings tray. The one time I tried to just make "MY OWN" version and everyone told to never do it again! My food wasn't sliced right and the cheese to meat portions were way off! 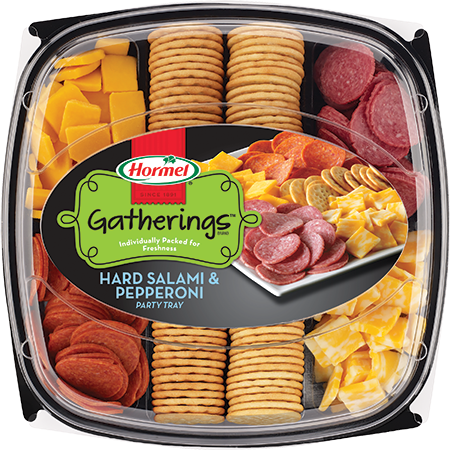 With Hormel you always get the right cheese/meat/cracker portions. And they are cut perfectly, when I cut up meat my family swears it looks like I did it with a chain saw. 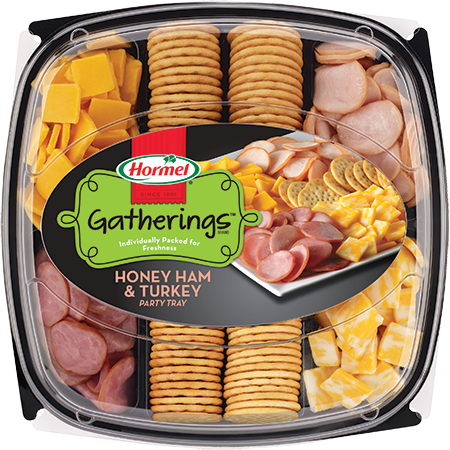 Also Hormel Gatherings trays are always fresh! All the contents in these trays are individually wrapped to keep them fresh. The only thing that kind of bothers me is the price. They are not the cheapest, but for me being able to enjoy time with my family instead of making snacks is so worth the cost.